Powerplay: Accountable for the people who manage and deliver the experience that defines a luxury brand. What’s your perception of the value and function of standards to a brand? Standards can be looked at in a number of ways they could be overly rigorous or something that hamstrings employees, but it can also be looked at as protection for consistency. 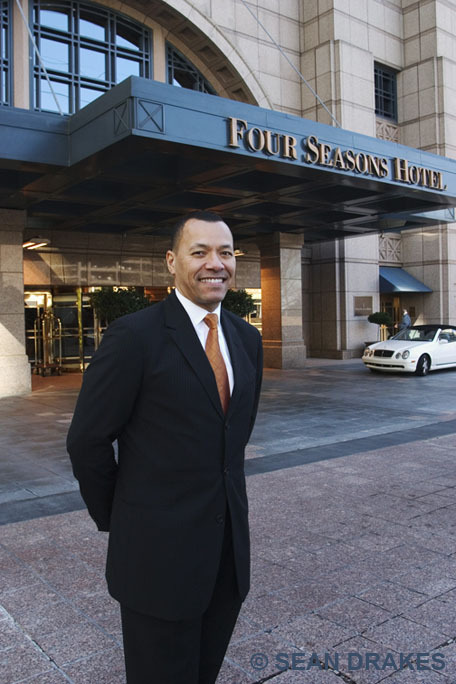 The reason we have standards within Four Seasons is to make sure the customer experiences the same high level of service at all times. We have learned that one of the most important things to our customers is no surprises. Hassle-free visits are very, very important especially in this day and age as people are very strapped as a result of the economy. Our job is to make sure that when they’re here we don’t create additional work for them; standards are in place to make certain that happens time and time again. From an employee perspective [standards] allow employees to learn and understand what the expectations are of our organization…it doesn’t stop them from going above and beyond a particular performance standard. If an employee finds that there is an opportunity to take care of a customer in a specialized way, [say] they overhear a customer wanting to find cough medicine at the gift shop, a standard wouldn’t get in the way of them sending up chicken soup unsolicited. [Standards are] a baseline for performance, it’s the very minimum that customers would expect us to perform and achieve for them. In a slumping economy do you adjust business practices to preserve and build brand loyalty? Discounting doesn’t give you more business. In this economy we see that the people that aren’t traveling simply aren’t traveling, to discount isn’t going to spur any new activity for them. We’re careful about that because we’re very confident in the service and product that we provide and that doesn’t change based on the strength or weakness of the economy. We don’t strip out services based on how busy we are those services are always there and available for our customers’ consumption. Consistency is key especially in a market like this, for those customers that are investing in us, partnering with us in times like this, it’s more important than ever that they feel the same level of care, the same support that they would get at any other time. When they come to us they are showing us a huge amount of confidence and we live up to that by being consistent. That does not mean that we have not had to respond to market conditions. [The economy] forces us to be more efficient, to share best practices [and] to be better business people. You start to deconstruct your expenses, unless they can show a return from a customer services perspective, an employee relations perspective or from a business profile perspective from within the business they go away. As long as the service or product that you’re delivering satisfies one of those filters [be] confident in keeping it in place. Damage control is the uncomfortable process that rescues a brand’s image, what’s your approach to executing this function? You can be forgiven once, if you don’t address [a complaint] then you lose that customer. We can never rely on the customer telling us there was a problem, that’s why it’s important to be intuitive. You have to see the problem, even if the customer doesn’t perceive it as a problem or doesn’t report it as a problem. If there’s a stain on the carpet and the customer doesn’t notice [or] mention it, it doesn’t change the fact that there’s a stain on the carpet. We treat that as seriously as if a customer called and said there is a stain on the carpet. The end result is a stain that shouldn’t have been there. Why was it that way, what do we need to do differently to make sure it doesn’t happen again, what happened that it wasn’t reported that we found out about it by accident. All of these filters we go through, yes it happened, yes we’re human, but we need to make sure we respond with urgency and transparency, take care of the customer first and then go back and [assess] was it a system issue, a training issue or did we just make a mistake. All of our managers and employees are empowered to make decisions to take care of a customer right away if there is a complaint, they don’t have to say I have to ask the boss. We trust our employees. While we don’t solicit feedback aggressively at Four Seasons because we don’t want to create work for our customers, we do respond very quickly when we get feedback from them. And I respond in most cases personally. What’s your approach to recruiting and encouraging your team to reinforce your brand’s vision of impeccable service and high standards? We are confident in our screening abilities, each candidate goes through three to four interviews ideally I am the final interview. What I am looking for by the time they get to me isn’t a skill set, it’s a mentality…an attitude. When you’re that careful with the people that you bring into the building you know you can trust them to do the right thing because you are going to teach them and support them to run the [business]. Let’s face it, I don’t run the hotel, I don’t clean the rooms, I don’t serve the drinks and I don’t cook the meals, well, then I’d better be supporting the people that are doing that, so that’s our approach to business. The managers from the junior level up to myself are tasked with supporting the people who are doing the work through training tools and motivation. And through pubic displays of congratulations when people go above and beyond, and private coaching and support when a mistake is made. What should a premium brand never jeopardize in effort to survive an economy in recession? Never ever jeopardize service—ever! When I attend orientation sessions with our new employees one of my standard lines in my stump speech is: If you take all of the employees…the managers, frontline employees out of this building and put them in an office building across the street, that in essence would become the Four Seasons. The value of the company, the value of the brand is in the employees and the service and caring that they deliver every day.